This is a very simple and a healthy recipe which requires very few ingredients and can be prepared in jiffy. Brown bread as source of fiber and cottage cheese rich in protein makes it a wholesome meal. This dish involves minimal use of oil which makes it all the more tempting for all those people looking for oil free yet tasty cooking. 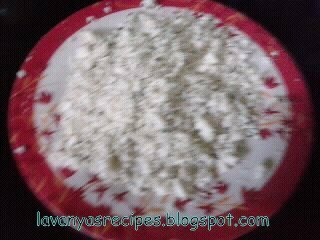 Firstly, mix cottage cheese, pepper powder, mustard seeds, coriander leaves and salt properly. Then lightly toast one side of the bread in a pan and keep it aside. Now press the cheese mixture on the other(the one that is not toasted) with your palms. Heat the pan and smear it with little bit of oil. Now put the slice of the bread with cheese side facing down.Cook the cheese side on low heat for few min until done.